Together on a ΜACCHIATO couch! 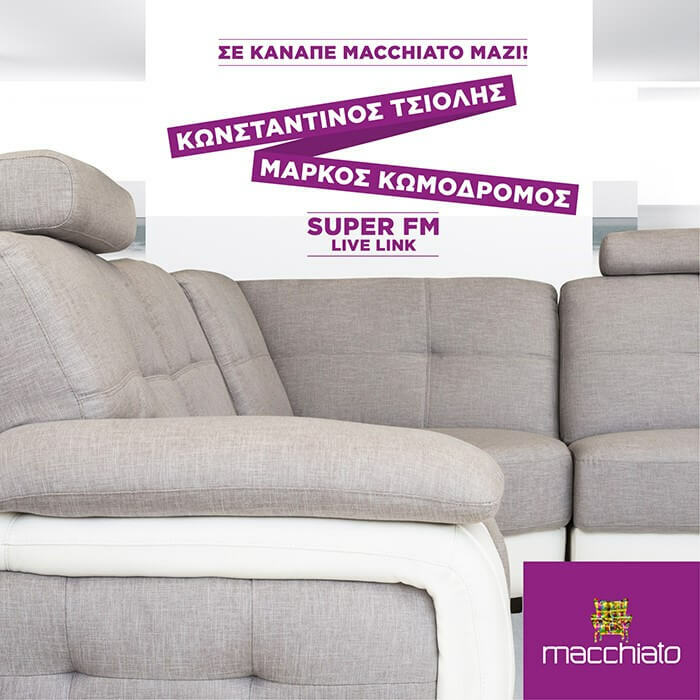 On the 7th of July, between 4 and 6 Constandinos Tsiolis and Marcos Komodromos with Super FM will be at The Mall of Cyprus with a different kind of live link! Come to The Mall of Cyprus, try the waterproof MACCIATO couch and win it by entering our competiton!